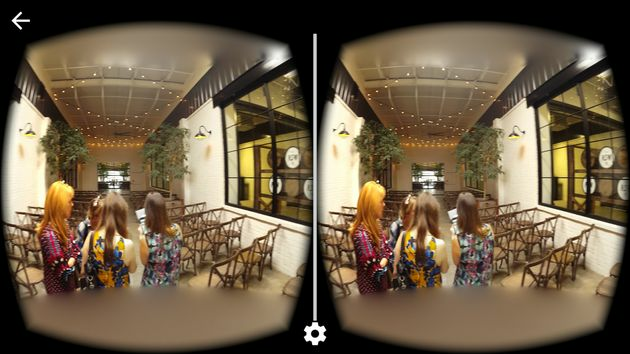 In 2016, it’s surprisingly easy to plan a wedding in virtual reality. Over the weekend, I visited a handful of wedding venues in Atlanta, Georgia. Smartphone in hand, I took a couple of special photographs and was ready to transport friends and colleagues to those venues on Monday. It was a lot better than showing them static, 2D photographs — and it was basically free. Views of an Atlanta event venue shot on Cardboard Camera. When you actually look at the photos in a headset, you can look around and see one cohesive image as if you were standing in the location yourself. 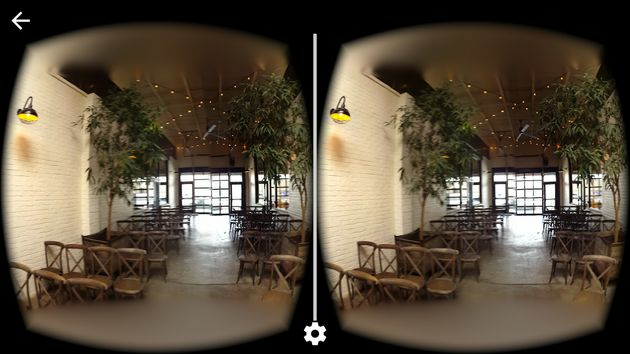 With a fancy piece of cardboard and a free smartphone app, you can easily shoot and view 360-degree footage of any location — including wedding venues — and share the experience with others. It’s very easy. First things first, buy a Google Cardboard headset. That’s a $15 doohickey that folds into a sort of viewfinder that lets you experience basic virtual reality. In other words, you can watch videos and view photographs that allow you to occupy a space and physically look around. Neat! If you’re an Android user, download the official Cardboard Camera app. Unfortunately, the app isn’t available on iOS, but iPhone users can get a similar experience using Optonaut. You can use those apps to shoot 360-degree photos of any location — you basically boot them up and slowly spin your body around to capture the full view. That’s it! Pull the photo up in Cardboard Camera or Optonaut, tap the button corresponding to Google Cardboard, slap your phone into the headset and show your footage off. When it comes to planning a wedding, this tool can help you revisit and decide on, say, a reception hall. It also makes it possible to share a true representation of what you saw with other people to get their feedback. Not every member of my family was able to visit venues with my fiancee and me this weekend, but two days later I showed my future sister-in-law our favorite venue in Google Cardboard. She got to look around and really get a sense of the vibe — it truly is the next best thing to actually being there. This entry was posted on May 9, 2016, in wedding planning and tagged wedding planner, wedding planning, Wedding Venues.